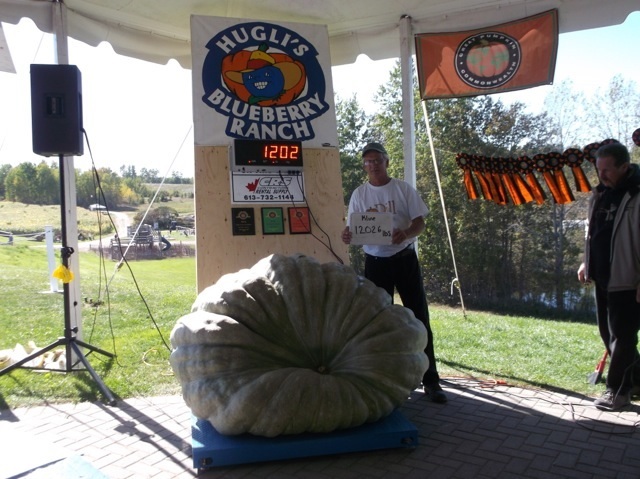 Todd Kline won big this weekend at the Huglis Blueberry Ranch Weigh Off. 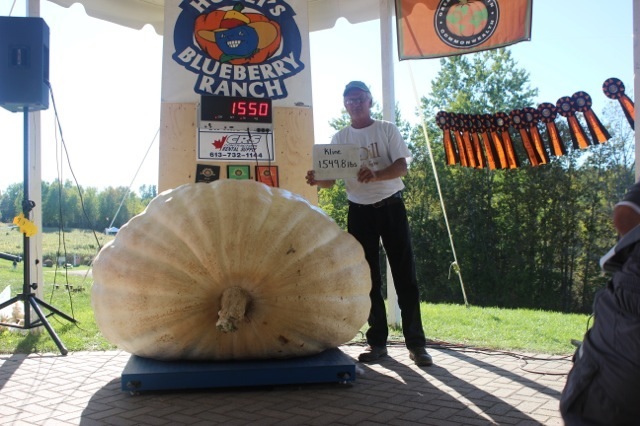 He took top prize in Pumpkin @ 1549.8 , top prize in Squash @ 1202.6 , and top Long Gourd @ 141.31. Todd also had a 2.1 pound tomato and a 41 lb Field Pumpkin.